In this article he masterfully outlines a new computational framework for looking at our Universe as if it were a massive computer algorithm and a path which he believes could lead to a complete theory of physics, unifying quantum physics and relativity, through finding the most simplistic discrete building blocks and rules for the known universe, much like the simple generating functions used to produce fractals or the mathematical framework he wrote about in “A New Kind of Science”, his fascinating 1,000+ page tome on how highly complex patterns could emerge from simple 1 dimensional, 2 bit systems using basic iteration algorithms. In this recent “What is Space time?” article, he proposed that a new model of unified physics might be generated by using simple computational algorithms, only in 3D instead of 1. He also talks about some of the key mathematical tools for constructing networks: things like knots, nodes, and graph theory. Though a lot of people in physics have thumbed their nose at this work or simply aren’t aware of it, I for one, trust that Stephen and others like him, are on to something here. A recent article was published in Quanta magazine that talked about how changes in the phases of matter were actually linked to symmetry breaking by condensed matter physicists, for example liquid water turns to solid ice when the molecules lose rotational symmetry, and become locked into a lattice. In addition to this, are these weird effects which show up as matter is cooled near absolute zero, which can’t be accurately described by a symmetry breaking, particles which normally act like tiny spheres, suddenly grow legs. Electrons begin to demonstrate fractional charges and experiments have begun to reveal more exotic phases, which symmetry breaking alone cannot explain. 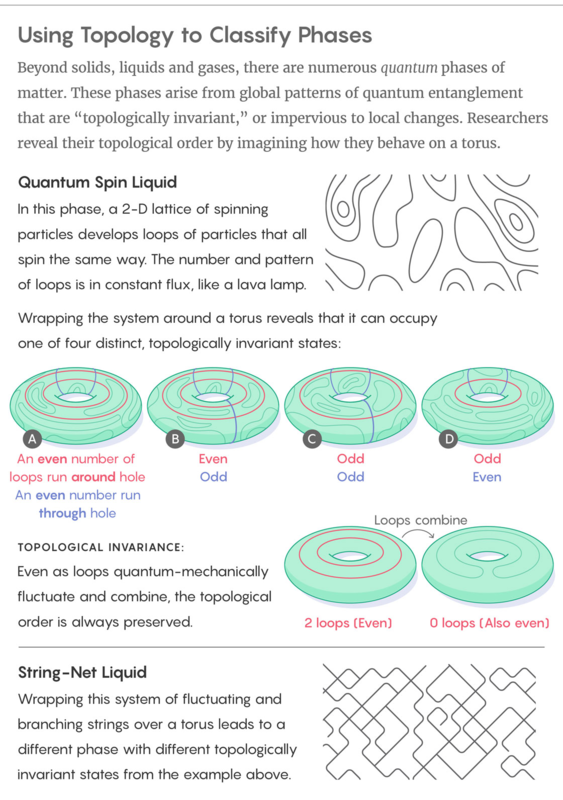 What is needed, according to the scientists in the article, is a new topological order. Which is BTW exactly what we are now claiming to have with PhOENIX theory, in case you missed it. And this article was just published 10 days after we released our first publication of PhOENIX Theory, which we claim is that topological ordering, and the bottom-up restructuring of physics. Although we only showed an elementary introduction to the core of PhOENIX theory, we will be revealing more as things progress with our experimental research. 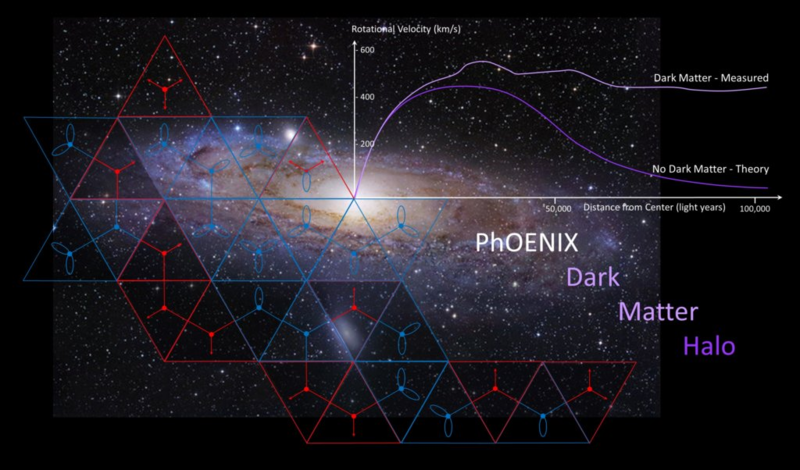 PhOENIX treats all of elementary particle physics as a series of entangled vertices connected by simple matching rules. And these vertices with entanglements connecting them are, in fact, just another way of visually representing particles and their respective matrices; we call them graphs. This is why matrix mechanics works so well for describing quantum theory, and the higher order graphs also explain away dark matter as the inert matrix formations which don’t interact with normal matter but still gravitate. 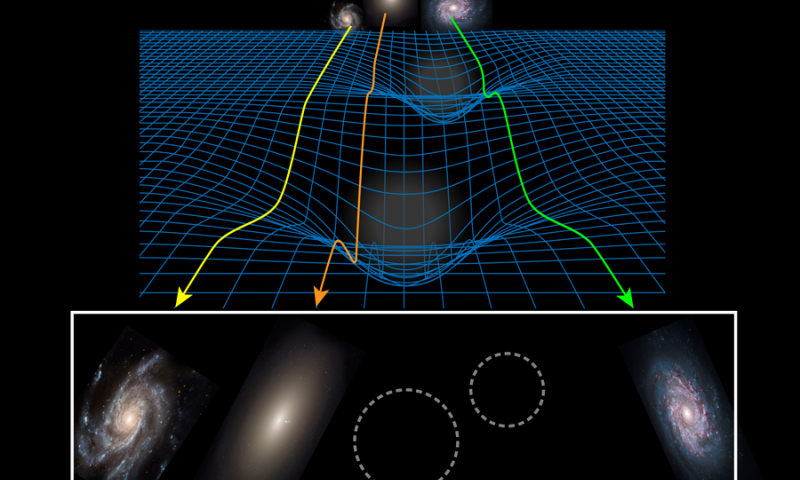 There are even bigger cosmological implications, but we’ll save that for another time. 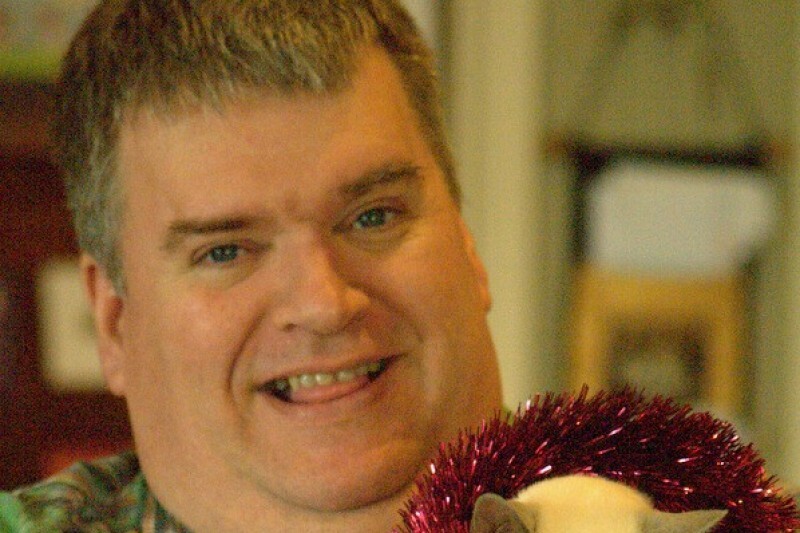 Let’s begin with a fundamental question: What is a Measurement? PhOENIX says that, when a physicist goes out into nature and performs a measurement, what he is essentially doing is counting structures. And his tools of the trade (his mathematics and laboratory instruments) are simply: methods that work for counting those structures. What the ancient Greek philosophers were speaking to when they talked about the “atomos”, was the idea of the most basic, indivisible structures in nature. 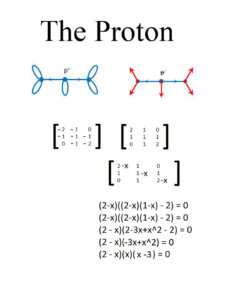 As it turns out there was something smaller than ‘atoms’, those atoms are composed of protons and neutrons which are in turn composed of quarks which one would assume are composed of something much more basic and purely mathematical. And that line of thinking lead US to vertices, a vertex is the essence of the atomos. Vertices ARE the most basic building blocks of the universe and what we should now be calling ‘atoms’ in place of atomic nuclei. In order to begin building networks and graphs we need to first understand some rules for how these vertices can be connected or entangled with one another. 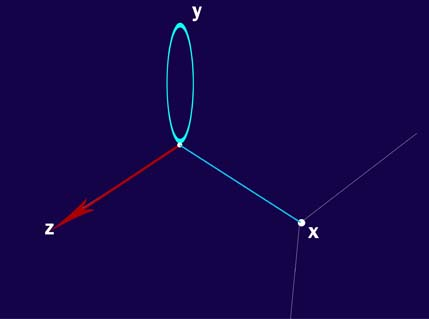 So let’s start with a single vertex with 3 degrees of freedom, we’ll call each leg x, y, and z for visualization purposes. and say that in each of these degrees of freedom, our vertex is either connected back to itself positively (a loop), entangled with another vertex (an edge), or connected to itself negatively (designated by an arrow). 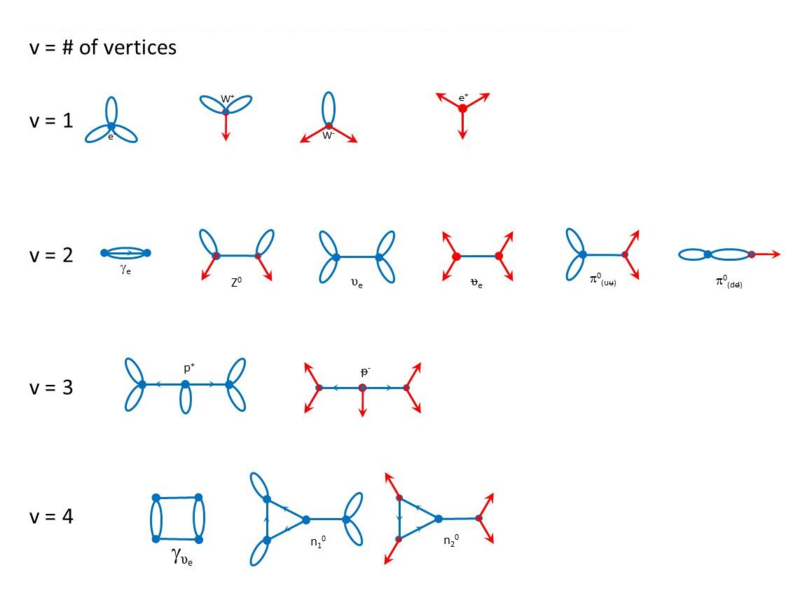 From this we can come up with a map of all the different combinations of possible sing vertex connections, and we find that there are ten possibilities or ten single-vertex building blocks or atoms. If you begin to play around with this new set of building blocks, observing some basic rules, you’ll discover a system of interactions which looks exactly like particle physics with electrons and positrons, up and down quarks, and the W+ and W- particles associated with weak nuclear interactions. 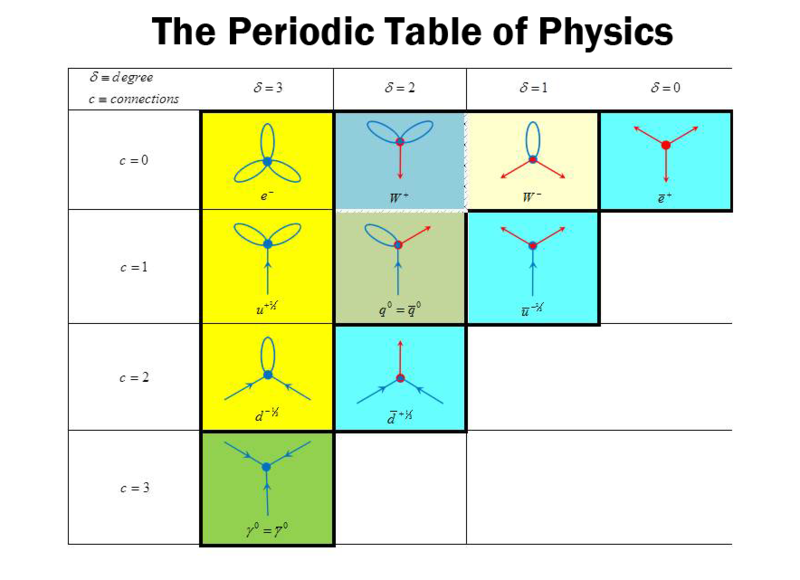 On the Top Row we have electroweak unification, and with the up and down quarks entangled on edge we can show strong nuclear force unification (in addition to what happens when you put protons and neutrons in the same matrix together). Most physicists can tell you that two up quarks combine with a down quark to form the proton, and a neutron is formed by two down quarks plus an up quark. But PhOENIX, goes a step beyond this to show what these quarks actually are, in terms of information flow on a network. This traditional picture of quarks as spheres connected by gluons, can now be replaced with the entangled vertices of PhOENIX. Which show us that the neutron actually looks like this. These are not some silly pictures pretending to be physics, this is actually real math. It’s called graph theory, and you can rewrite the graph as a matrix by first labeling each vertex, and then labeling the rows and columns in your matrix accordingly. For example: a graph with 3 vertices will produce a 3×3 matrix, a graph with 4 vertices will produce a 4X4 matrix. And so on. The vertices we just labelled, correspond to the rows and columns for your matrix which you can then populate by asking: how is vertex 1 connected to 1? 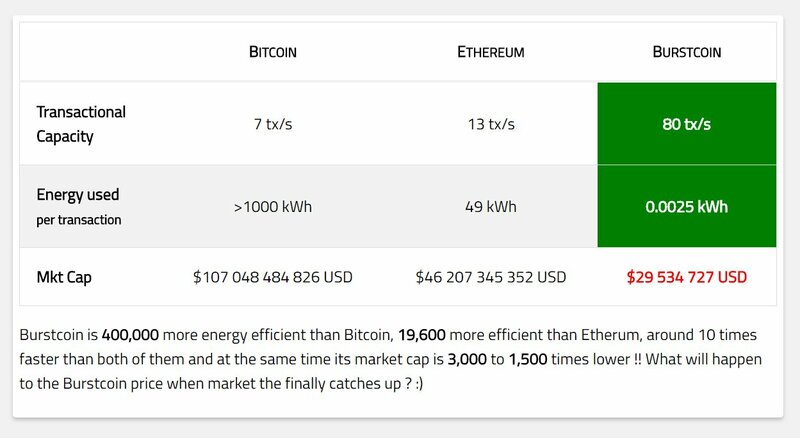 How is 1 connected to 2? How is 1 connected to 3? And so on. You can then plot out the matrix for the Neutron, or any other particle you can theorize, find the eigenvalues and the eigenvectors, and see that the solutions are, in fact, the very particles that this thing breaks down into, during particle decay experiments. It works in reverse as well to produce the other particles in nature. In this way, graph theory connects linear algebra to topology, and shows us how the matrix forms a network. Graph Theory is real math, not just pictures, and with PhOENIX theory we have shown for the first time ever, how to use this math to describe the most basic interactions in particle physics, and combined with our First paper on combinatorial relativity theory, we show the basics for how the space time network is constructed. In our second paper, we will show quantum scattering theory, how to derive chemistry, nuclear theory, and the electroweak theory which includes electromagnetism. And in our third paper, we will derive the Holy Grail of Physics: quantum gravity. At the fundamental core of physics, all particles in the known universe are simply bound information flows (or energy). These bundles of spatially-entangled vertices known as particles communicate and interact through a massive web of iterating information exchanges mediated by a temporally-entangled network. Like a giant entangled tapestry which threads all the universe together in time. There is an emerging trend in physics toward the idea that quantum entanglement is intimately responsible for gravitation. And there is also a lot of attention being given to new theories of entropic gravity. PhOENIX connects these two emerging viewpoints and says that the Force of Gravity or quantum gravity is a residual effect of quantum entanglement over very large scale networks. Gravity is a sort of entropy which evolves out of quantum entanglement in higher order systems. So case in point: If quantum entanglement holds the key to quantum gravity, the best way to test that theory is to shut off quantum entanglement and see what happens to gravity. And PhOENIX theory has now given us a working theoretical basis on which to build and achieve just that. Scientists still don’t even know what antimatter really is or how it works. But according to PhOENIX, Antimatter is not quite what we thought it was. Antimatter is built upon the same vertex structure as matter, but it differs in the way that it entangles outwardly to the rest of the universe, (this is that ‘second notion of time’ or quantum arrow of time that all these theorists are still struggling to explain). Antimatter terminates itself in time reverse to ordinary matter. It has the same entangled structure as ordinary matter except that the loops are replaced with arrows in our graphs. In the matrix form, the numbers become negative. 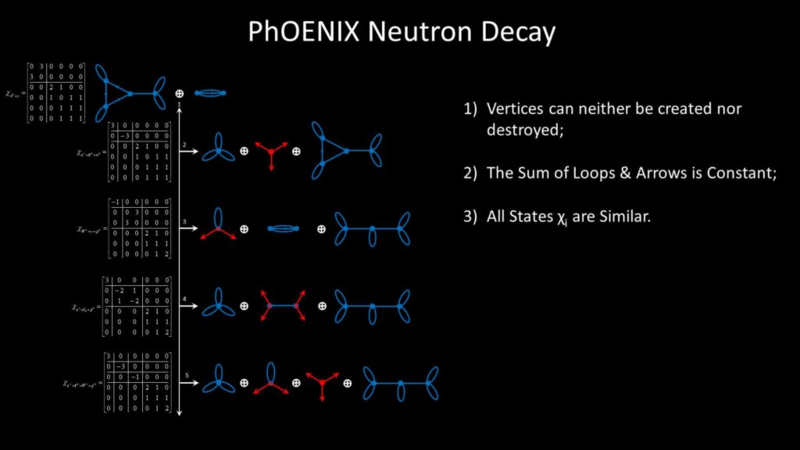 This theory not only shows us what antimatter is, it also makes new predictions on what it can be used for, Antimatter according to PhOENIX actually breaks the entanglement between ordinary matter across that boundary and terminates the ends of the thread so to speak. It isolates you inside of a negative block on the matrix. So by exploiting this quantum disentangling property of antimatter, surrounding the surface of an object with a veil of antimatter, we can theoretically disentangle regions of space-time, thereby reducing, negating, or reversing the effects of gravity locally within that bubble. We now know how the Dirac Holes, or Negative Energy States create the conditions necessary for the Alcubierre Warp Drive Theory to work at much lower energy states than previously predicted, and now we want your help to actually build one. 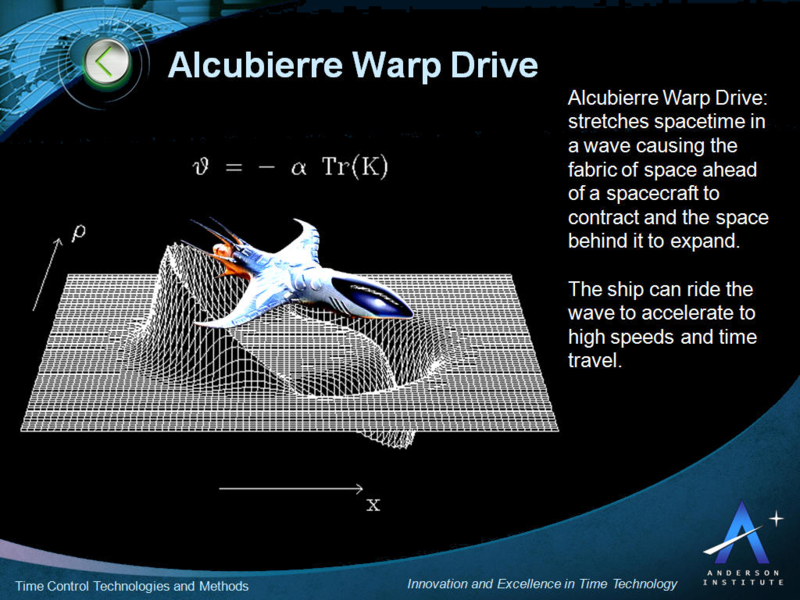 We can actually derive Alcubierre’s warp drive from more basic quantum principals using PhOENIX theory. The Dirac Sea is nothing more than a nest of entangled vertices. These are not infinities Ladies and Gentlemen, so grab your surf boards because we’re gonna ride some new waves… This type of technology is coming very soon, so prepare yourselves. 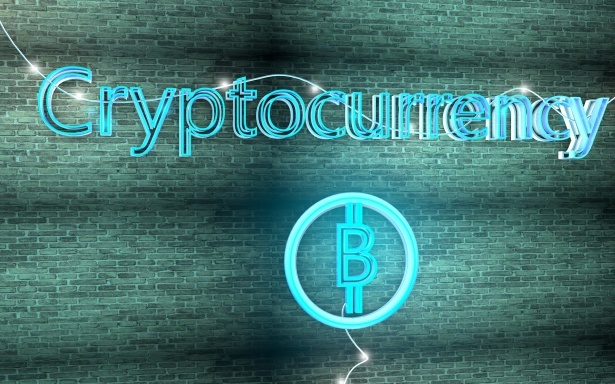 We live in one of the most important and opportune times in all of human history. Fiction is about to become science FACT. 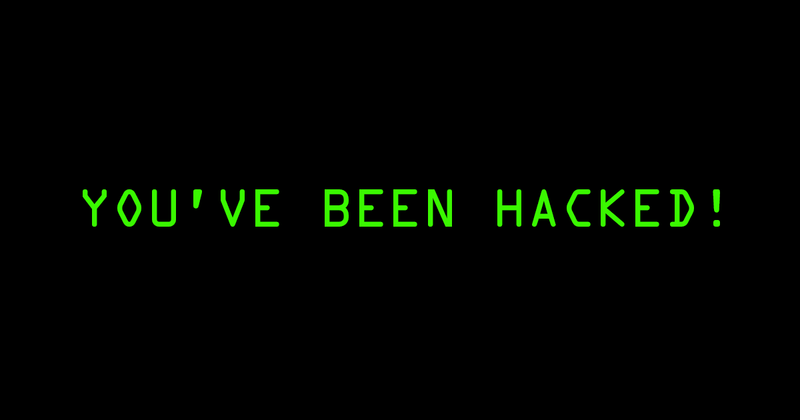 We are closer than ever to cracking the code. It’s happening. Wake up, and be a part of it.